On a busy day at JetBlue Park, the Red Sox fell to 6-6 in Grapefruit League play and saw their three-game winning streak come to an end on Wednesday following a 6-1 loss at the hands of the Pittsburgh Pirates. Non-roster invitee Josh Smith made the start for the Red Sox in this one. Going the first two innings, the journeyman right-hander surrendered two earned runs on four hits and one walk to go along with three strikeouts on the afternoon. He was later charged with his first losing decision of the year. Through three appearances (two starts) this spring, the 31-year-old Smith, who spent parts of 2018 in both the Seattle Mariners and Red Sox organization, owns a 7.94 ERA as well as six strikeouts over 5.2 innings pitched. 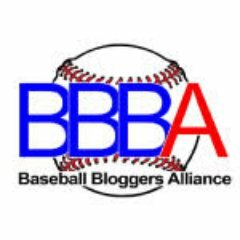 From the top of the third inning on, Tyler Thornburg, Colten Brewer, Ryan Weber, Brian Ellington, Dan Runzler, and Adam Lau combined to allow four runs to score on 10 hits, seven walks, and seven punch outs. Brewer had the cleanest outing of the bunch, as the former Pirates draftee fanned a pair and faced the minimum in a perfect fourth inning. On the other side of things, the Red Sox lineup was held to one run on just three hits by starter Nick Kingham and the rest of the Pirates staff. That one run came in the bottom half of the fifth inning, when Sandy Leon drove in Jackie Bradley Jr. from second on an RBI single. In his 2019 spring debut and first ever Grapefruit League game in a Red Sox uniform, 2018 World Series MVP Steve Pearce went 0/2 batting sixth and manning first base up until the sixth inning. Andrew Benintendi and Mookie Betts, meanwhile, batting first and second in Boston’s starting lineup, went a combined 2/5 with a single each. Benintendi also struck out once. 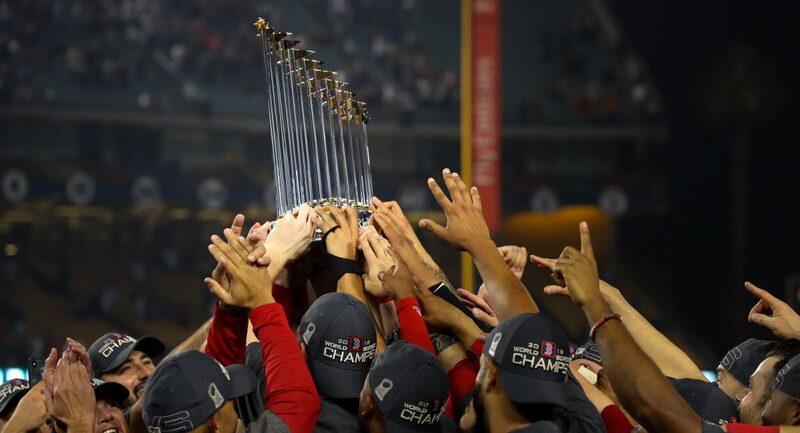 Next up for the Red Sox, they welcome the Minnesota Twins to JetBlue for the fourth installment of the 2019 Chairman’s Cup. Right-hander Kohl Stewart will get the start for the Twins, while left-hander Brian Johnson will do the same for Boston. First pitch Thursday is scheduled for 1:05 PM ET. ESPN is the way to go once again, as Mookie Betts is set to be mic’d up like Jackie Bradley Jr. was on Wednesday. RECAP: Red Sox capitalize in eighth to sweep Pirates; win 4-3. Once again, the Red Sox were trailing pretty much right after first pitch. Eduardo Rodriguez was on the bump today, and boy, did he have a shaky start. Giving up a two run shot to Andrew McCutchen in the top of the first is not nice. Rodriguez would settle down after that though, pitching four shutout innings until the sixth, as a throwing error by Christian Vazquez allowed Gregory Polanco to score from third. Rodriguez’s day would be done after 5.1 innings, a solid performance, which I did not expect after that rocky first inning. The bullpen turned in another quality performance, Heath Hembree, Matt Barnes, and Craig Kimbrel combined to give up only three hits and zero runs over 3.2 innings pitched. With many expecting Joe Kelly to be the setup man, Matt Barnes has certainly certified himself of that role in the bullpen. So far this season, Barnes has given up 0 runs while striking out 7 over 4.2 total innings. His ERA obviously sits at 0.00 while his WHIP sits at a very impressive 0.64. The Red Sox offense was having another quiet day up until the bottom of the eighth, only scoring once in the second before that. After loading the bases in the eighth, Hanley Ramirez came up clutch with a bases clearing double scoring Dustin Pedroia and Andrew Benintendi, while Mookie Betts was called out at home. One batter later, Xander Bogaerts was able to get a hit off of Juan Nicasio, which allowed Hanley to score from third. Craig Kimbrel would come in for the 9th and was able to end the game after facing four batters. It appears that the return of both Hanley Ramirez and Xander Bogaerts to the Red Sox lineup has helped give this offense a boost. Mitch Moreland continues to impress, as he hit ANOTHER double. Word to Mitchy Two Bags!!! 5 down, 89 to go. Author Brendan CampbellPosted on April 13, 2017 April 15, 2017 Categories Baseball, Sports, UncategorizedTags Baseball, boston, mlb, pirates, pittsburgh, red sox, thursdayLeave a comment on RECAP: Red Sox capitalize in eighth to sweep Pirates; win 4-3.